Consumer Reports usually doesn't like GM products very much, but it seems that the CT6 is hitting all the right notes this time. 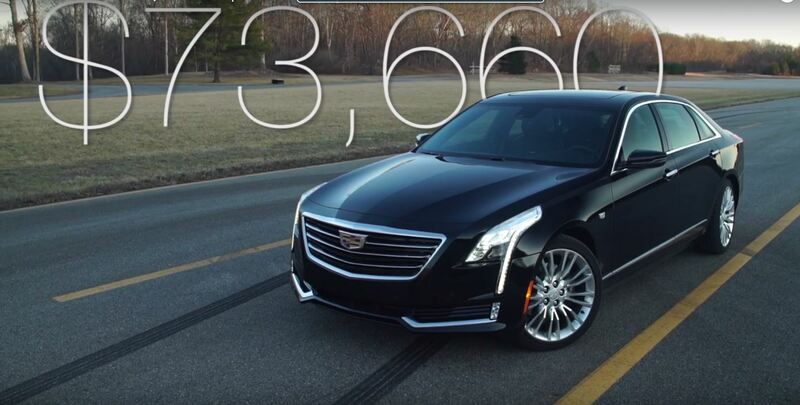 Consumer Reports has described the Cadillac CT6 as being "more Germans than the Germans when it comes to delivering fun in a classy package." Strange, but understandable since the CT6 is about 1,000 lbs lighter than the S-Class. You can buy the CT6 with all the options for just under $74,000, which is quite a bit cheaper than comparable Germans. As far as engines go, the Cadillac CT6 has a 4-cylinder turbo base engine and two V6 engines, a standard 3.6-liter and a 3-liter twin-turbo making 404 horsepower and 400 lb-ft of torque. A new 4.2-liter twin-turbo V8 will be introduced soon, and a plug-in hybrid will make its way to NA from China. The problem is in this segment, price isn't as high up on the priority list, $10,000 more isn't an issue for someone that really wants an S-Class, making that one barrier broken down easily.